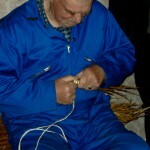 The core material is uncovered. 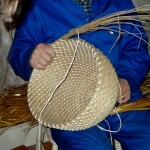 Traditions elsewhere in the world sometimes cover the central core material with another one such as some kind of leaf like rush. 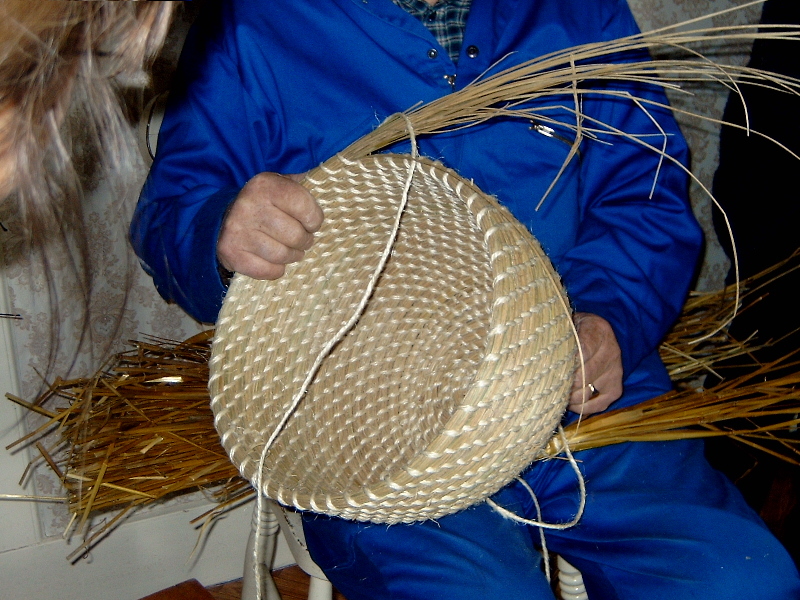 In our searches we have found Scottish coiled baskets made with sea bent grass/bent grass/marram grass, oat straw, and rush which is probably Juncus effuses whose common names are Soft Rush, Field Rush or, in Shetland, Floss. 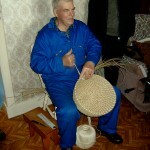 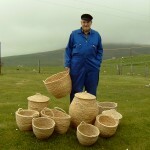 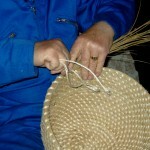 These photos of Jimmy Work were taken by Pip Weaser at the Scottish Basketmakers Autumn Gathering course in 2007.